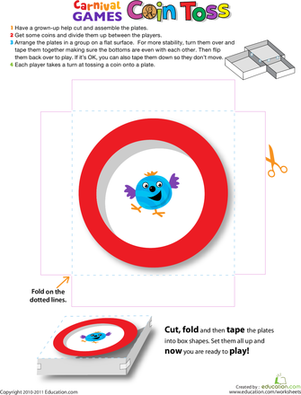 Awww, isn't Mr. Whale adorable? 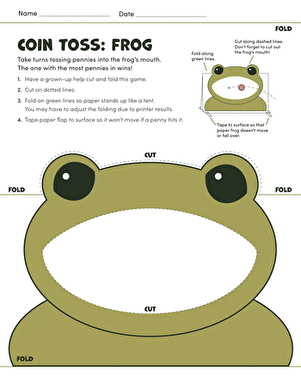 He wants nothing more than to spend time with your child...eating pennies! 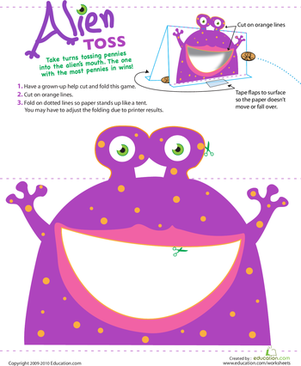 With this fun printable game, your child will enjoy hours of coin toss fun, and will work on his aim and hand-eye coordination while he's at it! 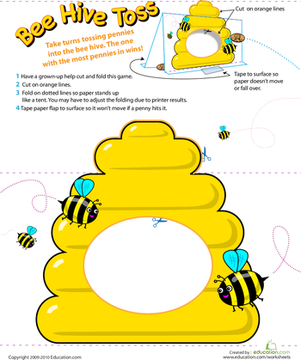 Play with one, two, or seven kids, and see who can toss the most coins in. 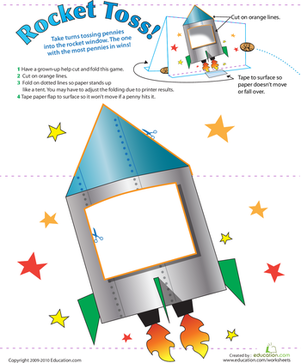 Just print out this sheet, cut and fold along the lines, tape Mr. Whale to a hard, flat surface, and let the coin fun begin! 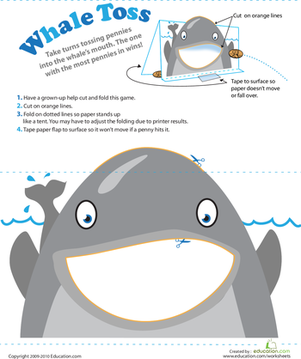 To ensure Mr. Whale looks his best, use a color printer and slightly stiffer paper. 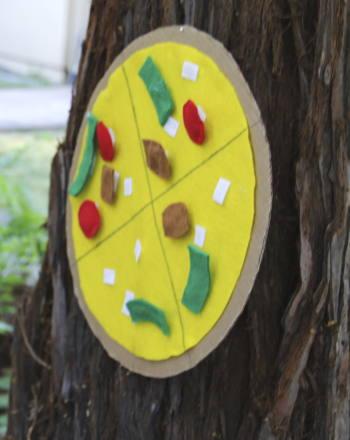 It's easy to be a master Italian chef with this target practice game played with a pizza board constructed out of felt and Velcro bean bag "toppings." 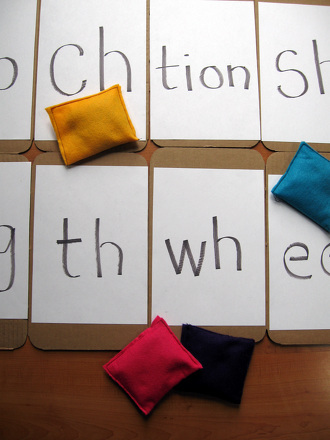 Help your first grade reader master those letter blends like "ch" and "sh" with this memorable and hilarious beanbag toss game.